Beautiful Floral arrangement of Amaryllis, Berries, and moss branches by Misaghi Design. Orinda Florist. 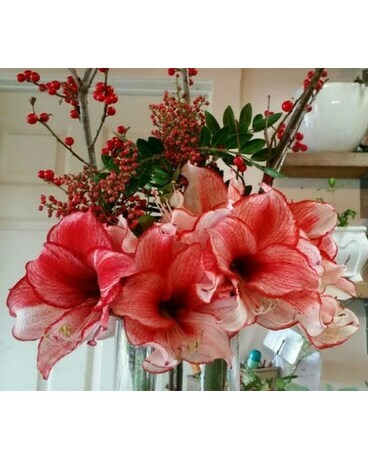 Please note that the Amaryllis might comes in different colors or patterns base on its availablilies.